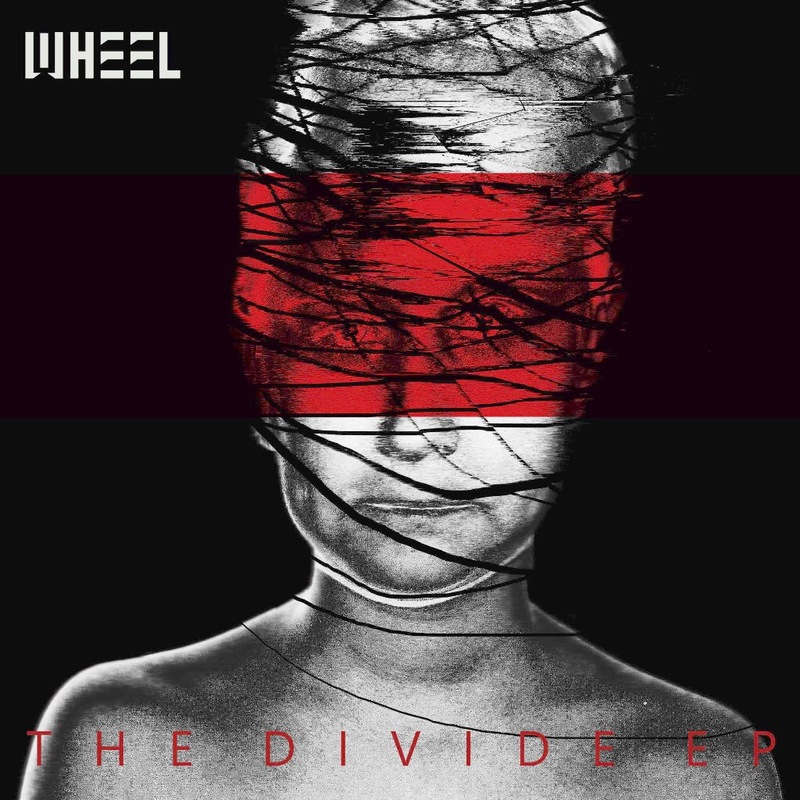 The Divide is the new EP from prog-rock band, Wheel. The Finnish-Anglo prog rockers explore the genre through the EP’s four tracks including the album and radio edit versions of Please. The Divide follows The Path EP which was released last year. Unusual time signatures, prevalent bass melodies and distorted guitar tones pour forth from the EP’s first track, the radio edit of Please. The English vocalist, James Lascelles, brings soaring vocals over a heavy, aggressive instrumentation style. The contrapuntal opening of harmonised guitar melodies and a bass riff that replicates the percussion’s offbeat rhythm creates a full sound. The instruments are cohesive, yet each instrumental layer can be heard clearly; nothing becomes lost in the mix. This is perhaps not too surprising as the EP was produced and mixed by Jesse Vainio. Heavy drum motifs feature in the bridge that add an extra depth to the track. The contrast of gentle and more aggressive vocals styles from Lascelles brings in metal influences. The album version of Please, on the other hand, is two minutes longer than the radio edit, with the extra time used to further develop the track’s introduction and includes an enhanced bridge section. Pyre, just under eight minutes in length, begins with an energetic off beat rhythm and guitar melodies. The vocals are muted through a filter adding to the distorted tone created by the guitars. The extra raw edge the vocal effect produces enhances the atmosphere of the track with an aggressive edge. The harmonised, clean vocals of the chorus created an effective contrast. The business of the instruments is juxtaposed with a clean guitar melody, clean vocals and gentler percussion rhythms. The drum rhythm supporting the guitar solo provides this often-understated instrument a greater focus. It’s Over Now contrasts the previous two tracks, opening with an acoustic guitar melody and accompanying strings riff. Lascelles’ vocals and the underlying melodies create a serene contrapuntal track, and the harmonising vocals that occur as the track progresses are incredibly atmospheric. The unusual rhythm patterns are portrayed in this track, similarly to the heavier tracks on the EP. Despite the sudden change from heavy distortion to clean sounds, the tracks remain cohesive through the similar use of contrasting melodies and soaring vocals. Wheel fill their tracks with melodies, riffs and motifs across all the instrumental parts to create full, busy atmospheres. The non-stop nature of their heavier tracks releases energy. Their writing style of contrasting melodies works effectively over both heavier and cleaner sounding tracks. The adaptability of their writing style allows Wheel to create different atmospheres across their tracks whilst maintaining their own sound. This EP certainly displays their competence however, it would be nice to see an extra track or two on this release. ‘The Divide’ by Wheel is out now.